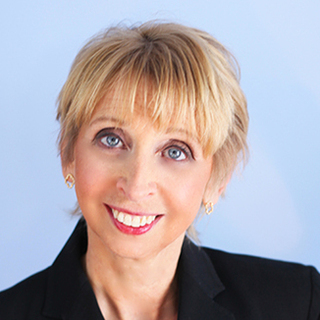 Joy Baldridge, CPC, CSP, is a renown self-management expert who helps the best companies in the world become even better at increasing revenue and productivity while decreasing stress and frustration. She began her speaking and training career at birth. She was born into a family of driven entrepreneurs and dynamic educators. Her parents founded the Baldridge Learning Center in 1956. Her first official speaking engagement was at the White House, at the age of 19. She got there by cold calling the president. clientele consists of 200+ corporations, publishing/media organizations, associations and government agencies including American Express, 3M, GE Capital Corporation, Time Inc., Toshiba America, Inc., United States Surgical Corporation, Time/Warner, Energizer, National Geographic, GQ, Vanity Fair, Oprah, Newsweek, Architectural Digest, Rolling Stone, UBS, Citigroup Private Bank, Coldwell Banker, JP Morgan, PepsiCo, Club Med, IBM, Xerox, Basement Systems, The American Bar Association, United States Tennis Association, Bigelow Tea, American Society of Interior Designers, National Kitchen and Bath Association, The American Management Association and Magazine Publishers of America.